Let’s Hear it for the Brows! 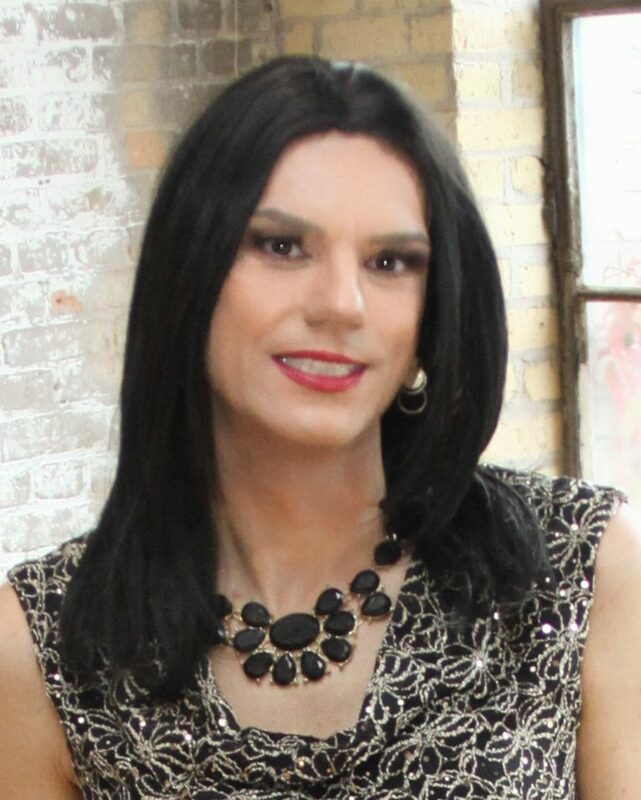 Corrie Dubay is a makeup artist extraordinaire and owner of Midwest Makeup Supply and Femme Makeovers She is a friend and hero to girls everywhere. She is beyond talented. Corrie has a newsletter that she sends out with helpful makeup tips like these and is reprinted here with her permission. I am certain you’ll find this useful! You can sign up for her newsletter here. 3. Don’t forget about them. 4. You CAN do this! Brows! Where do I….what do I….how the….??? YIKES!!! I know, I know. Brows can be intimidating. But!! You don’t want to neglect them. I totally get that they can go horribly wrong, fast…but – with a little practice and some guidance – you can have brows with shape and a nice arch. Trust me when I say brows are something you need to get comfortable with and include as part of your makeup application. They frame the face, open the eye and polish and finish your look. Next to applying false eyelashes and eyeliner, brows are something a lot of people struggle with. Not only are we trying to figure out the color, shape, where to start/stop, place the arch, etc., shaping the brow (hair removal via waxing, tweezing, etc. that makes doing our brows so much easier), might not be an option. But don’t worry! There are ways we can work around it. For this newsletter – I’m going to stick to the simple version: shaping and filling the brow using a pencil, powder or cream. I’ll do another more-in depth tutorial on completely covering the brow (using wax or glue stick) and re-drawing at a later time. First – burn this sentence into your memory: Brows are SISTERS not TWINS. I repeat: SISTERS NOT TWINS. Similar but not identical. Okay? Okay! Second – my favorite saying: Practice! You NEED to practice!! So don’t do it once and give up! Let’s get going. Everyone’s face/eye/brow shape will be different. These are just guidelines to help you get the concept down. Once you get it down – it’s up to you to practice and play with it to determine: Do I like fuller brows? Thinner brows? A higher arch, etc. Products: There are three types of products I like to use for brows: cremes (applied with an angle brush), pencils and powders (applied with an angle brush). Cremes and powders are my favorite. Pencils are easy to use and work fine, but I feel if you’re not careful, the brow can look a little too drawn on resulting in a very artificial looking brow. Creme is great for when you have a thicker/fuller brow (where hair removal isn’t an option) and have to ‘cheat’ the shape a little. They are build-able, tend to show up better and I think they last longer, too. Powders tend to give the most-natural look (in my opinion). 1. Imagine a line from the inner corner of your eye, up. This is where we want our brow to start. 2. Imagine a line from the outer corner, following the angle of our lower lash line out. Here’s where our brow should stop. 3. Imagine an angled line from the outer edge of your iris. This is roughly where the highest point of the arch should sit. 4. Imagine a horizontal line from the bottom of the inner part of the brow to the outer part (tail) of your brow. The start and stop point should match by sitting on this line. This will help with balance.Choosing a brow color: I typically like to match my brows to my hair color, but as we know – that might be hard (ie: dark brows naturally but wearing a blonde wig). The only hard rule I tend to follow is trying to avoid using straight up black for my brows. It can come off as a little too harsh. So – if you want to wear a blonde wig but have dark brows – roll with it. It’ll be fine. It would be hard to lighten – it could be done if we covered the brow completely, or, perhaps by using a brow mascara-type product, but that could end up looking very unnatural (which is not usually what we want). To start your brow, very lightly draw your initial brow line in, doing both sides so we can check for balance. Once you are happy with where it starts, the arch and the stopping point, continue to add line by line until you get the shape and fullness you want. As you add each new line, take a step back to look for balance and symmetry (it’s hard to see if things are balanced if our face is only inches from the mirror). And remember! It’s easier to add product than to take away. This might be hard at first, especially if your brows are longer and darker. If you can trim them down a little that might make it a little easier. If they are darker, your best bet might be to give them a little shape by add more of an arch (if you can) and a thinner/longer tail (if you can). Once we are happy with the shape, I like to come back through with a spoolie (or a clean mascara wand) to blend, soften and groom the brow into place. You can add a brow gel or wax if you want to keep things in place (the wax or gel is a good idea if you have longer brows). If this is too overwhelming at first – you can always use a stencil. However – I’m not a super fan of stencils. My issue with stencils is that they can come off looking very drawn on and fake if we’re not careful. If I am going to us a stencil, then I’ll typically use a brow powder rather than a pencil or creme, so it looks a little more natural. They can be useful though as you start to get placement, length and the arch in the right place. Lastly – I do my brows after I’ve done my foundation and usually my eye makeup. At minimum, I’d say do AFTER your foundation – you don’t want to mess up the perfect brow by accidentally covering part of it with foundation….but that’s just me! Be sure to visit Corrie’s newly updated website for more info and updated services. Be sure to check www.femmemakeovers.com for more info.